Looking for something light and delicious to throw together in a few minutes and get rave reviews? I’ve got the recipe for you. Bevanne threw it together at the last minute on July 4 and we were in awe how many corners she cut. I watched her do it and I enjoyed it more than any dessert I’ve spent hours assembling. 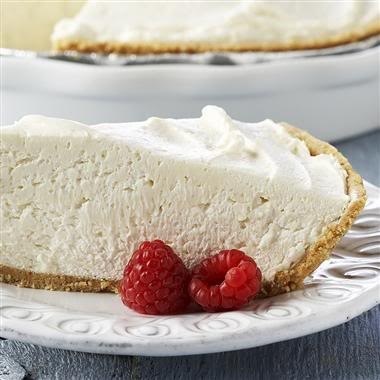 Soften the cream cheese and add the sugar and cool whip, whipping by hand if you need to release some tension, or by mixer if you just need to zone out. Pour mixture into crust and place in refrigerator for a few hours to set up. She likes to top it occasionally with blueberry pie filling or fresh strawberriese. Personally, I love it naked. It’s like a very rich ice cream that is not so terribly unhealthy. 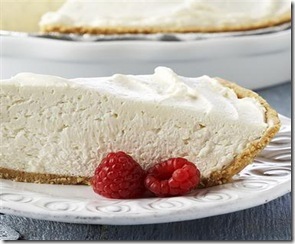 This entry was posted in Food & Entertainment and tagged Easy Cheese Cake, No-bake cheesecake by Emily Jones. Bookmark the permalink.